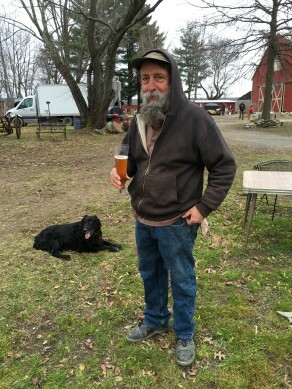 Kegged NYS Wine on Tap at Bradley Farm! The ONE and ONLY VENUE to offer Gotham Project’s NYS Wine in a Keg in Ulster County is Bradley Farm!!!! Thanks to long time farm fan and cofounder of the Gotham Project Bruce Schneider, we are now serving the 2016 Empire Builder Rose, and the 2015 Gotham Project Riesling from the Finger Lakes. Why Wine on Tap???? No one tells the story of wine on tap better than Bruce so make sure you check out their website. 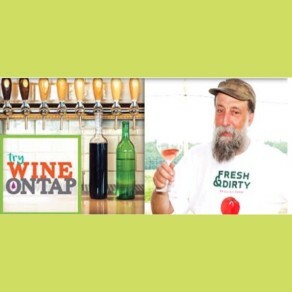 For Ray, who is all about freshness of any product, he is thrilled to eliminate oxidized wine by the glass, and reduce waste and use of bottles, closure and labels. Not to mention, how great both wines are! 2015 Gotham Project Riesling, Finger Lakes - This is Gotham’s first and signature wine, “The Finger” From Seneca Lakes Wagner and Fulkerson Vineyards. Vinified separately, and then blended together, for a perfect balance of 8 grams of acid balanced by 12 grams sugar. Aromas of tangerine, orange peel, lime and stone fruit. 2016 Empire Builder Rose - From the North Fork of Long Island, a blend of Merlot and Cabernet Franc. There are only 6 hours of skin contact prior to pressing, followed by fermentation and aging in stainless steel at cool temperatures to preserve the wine’s fresh fruit notes and bright aromatics. Not to worry, we still love our farm brewed and other local beers and will continue to serve them too!! !